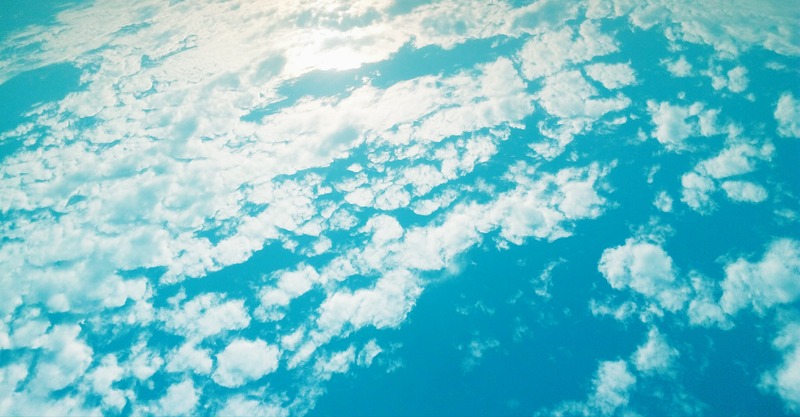 In the previous articles, we spoke about Nimbostratus and Altostratus which are not nice at all, so this time we will learn something about Altocumulus. Some say it is even more beautiful cloud than Cumulus! Let's find out. Altocumulus looks like balls, fluffs, rolls, ... just round masses. Many small round masses travelling together. It can be white, grey or both. And the rolls can be connected to each other or not. So you may now think it looks exactly like Stratocumulus. 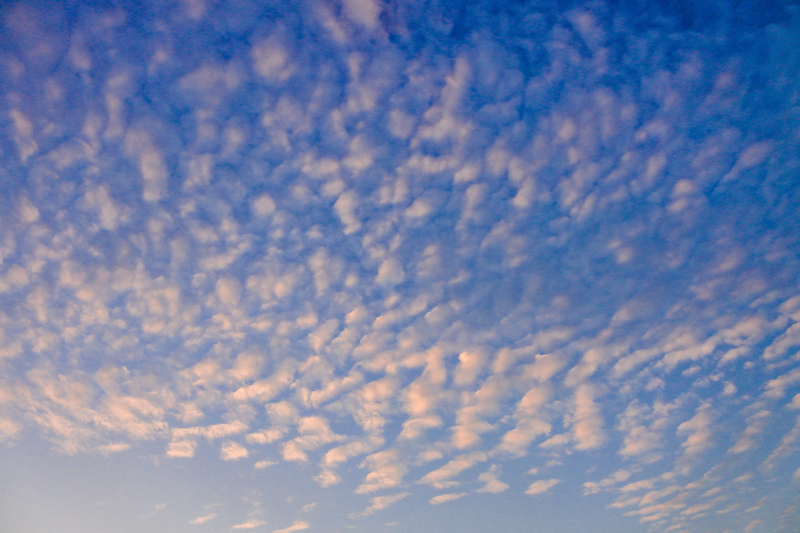 But the difference is that Altocumulus is higher in the sky and looks really smaller. While Altostratus can be observed just ahead of a warm front, Altocumulus usually comes right after a cold front and in the warm sector (between fronts) with 2-6 km (6.5 to 19.5 ft) altitude. 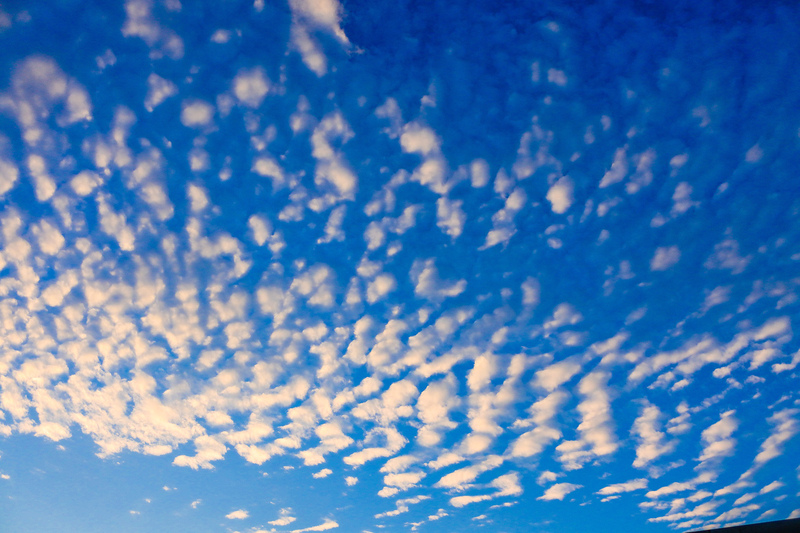 Altocumulus is created when an upward stream has high humidity. Five different species are created by orography (mainly mountains). 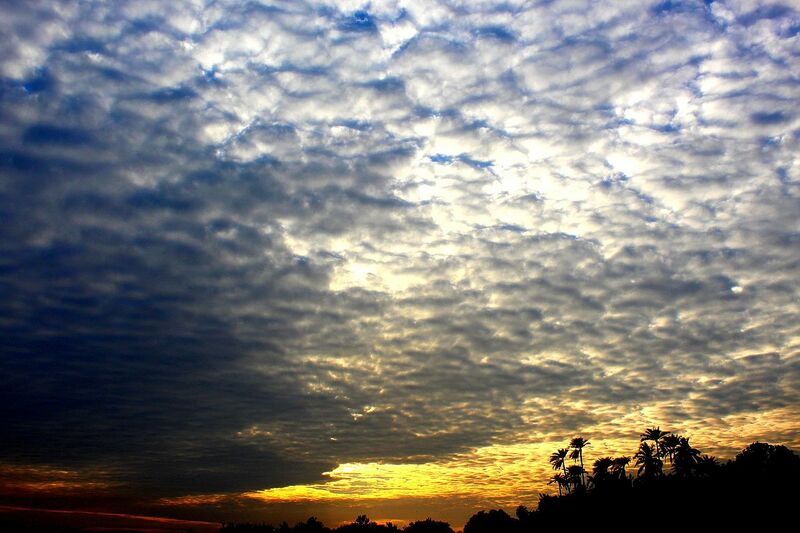 Altocumulus brings rarely precipitation and when it does, the rain does not reach the ground. This effect is called virga. When the water in those clouds freezes, halo effects can be observed. So next time we will discuss the Altocumulus species! Some of then can forecast an incoming storm!